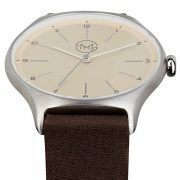 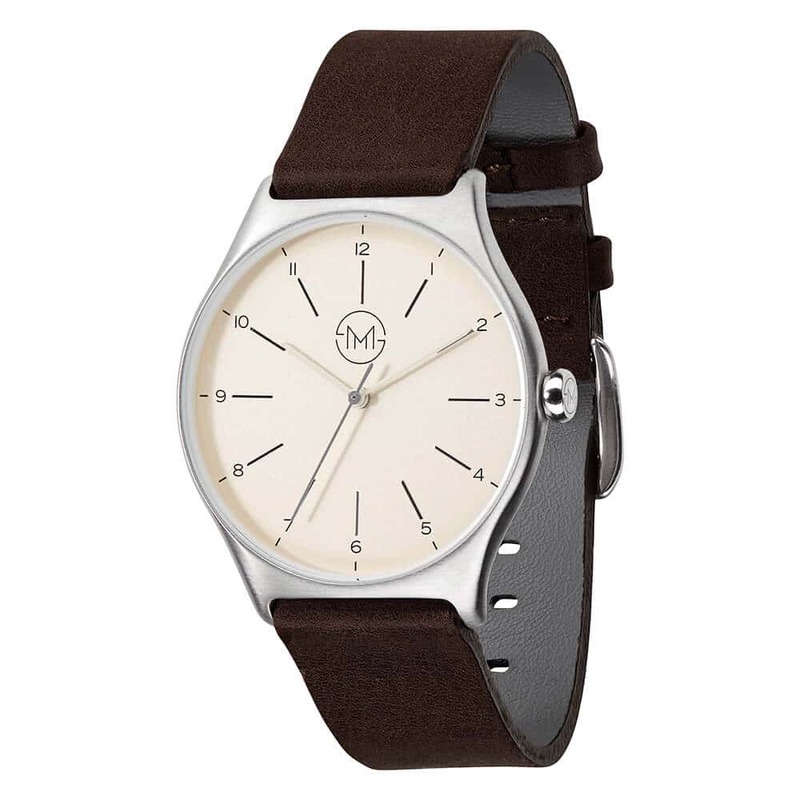 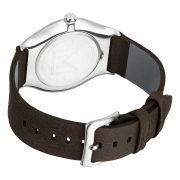 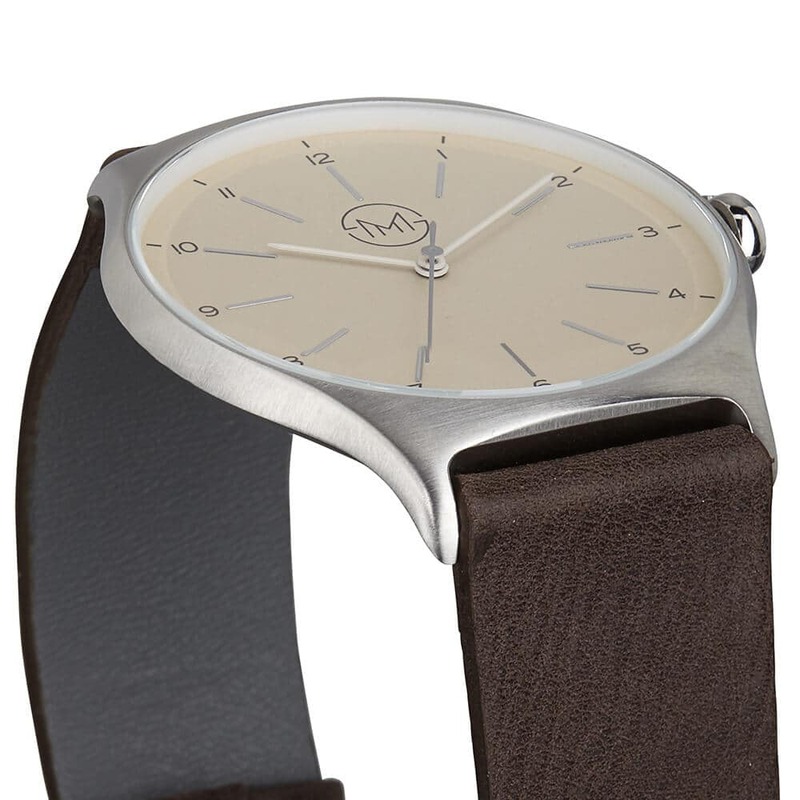 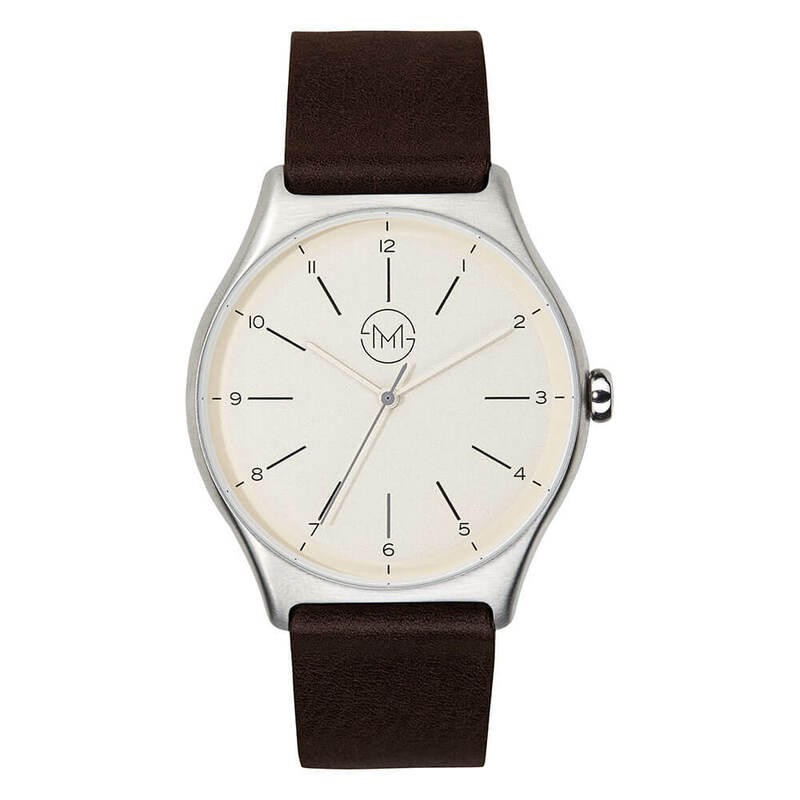 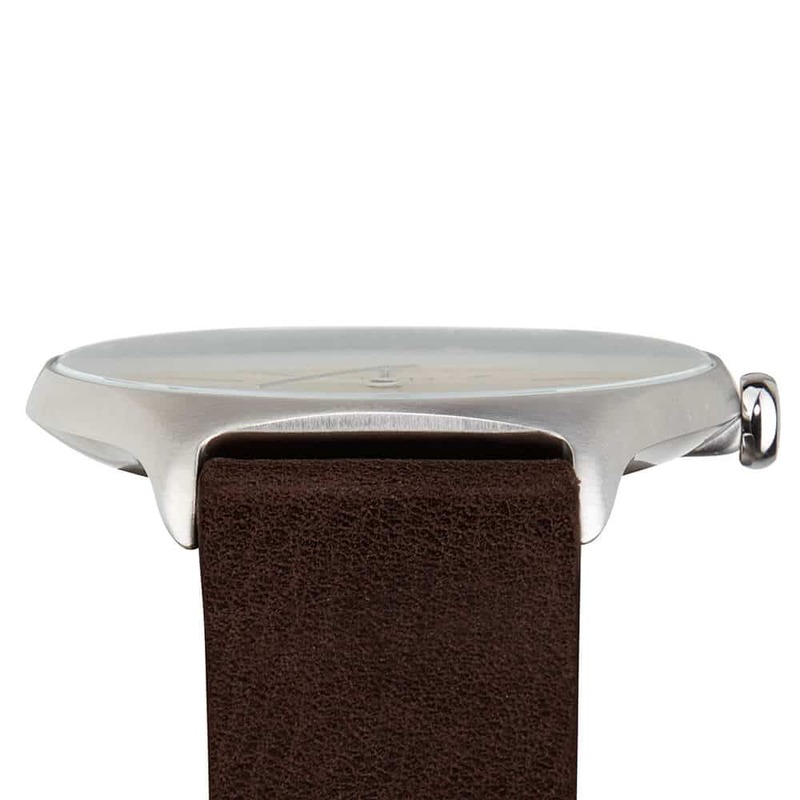 The dark brown Italian leather and the creme dial make this piece a great slim vintage watch. 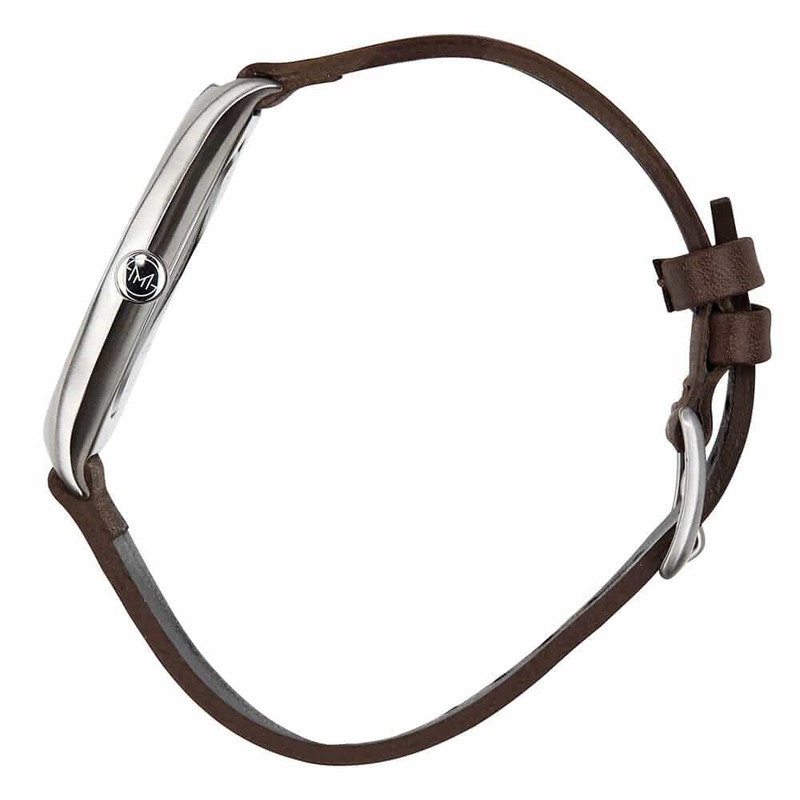 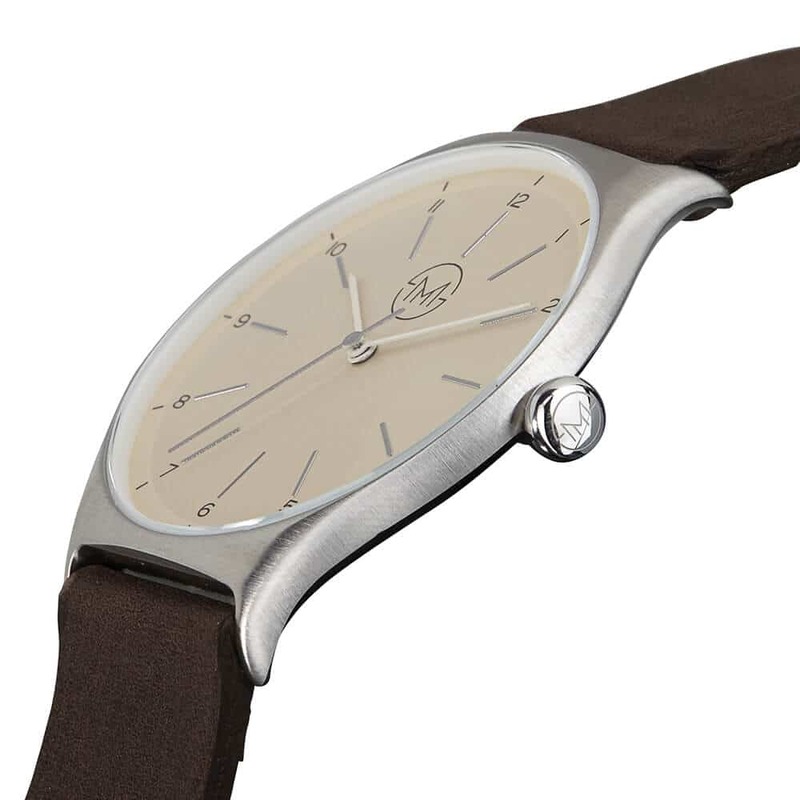 The 40 mm stainless steel which we use for all slim made models, is ideal to complete this sophisticated look. 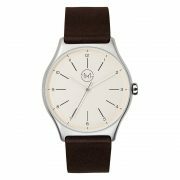 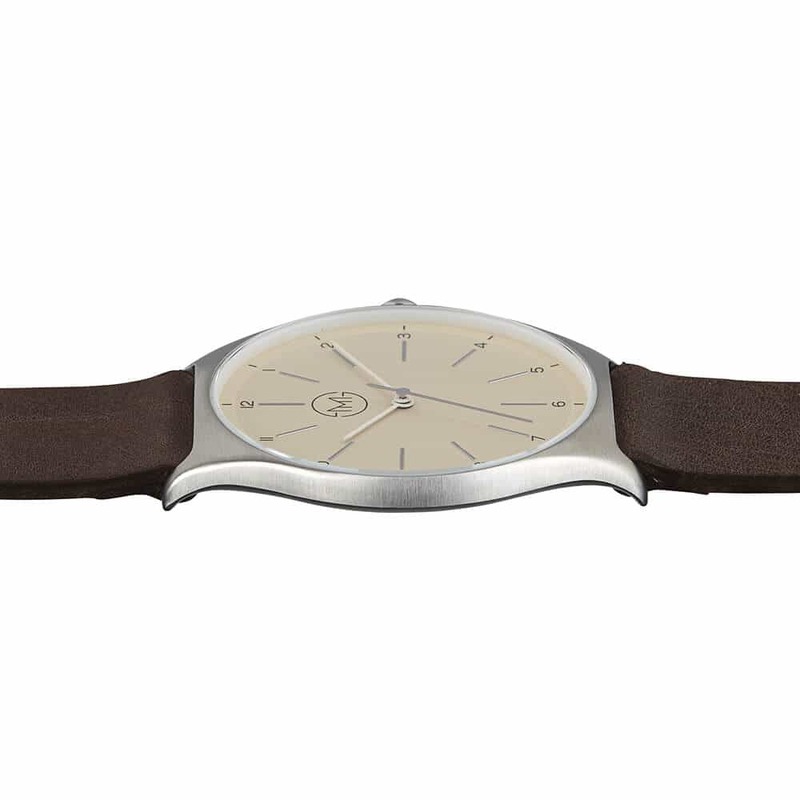 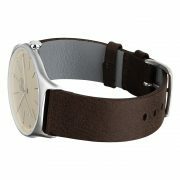 By optimizing every component and production process we managed to get the case of this slim vintage watch only 7 mm thin, so it will perfectly wrap around your wrist and you won’t get stuck anywhere. 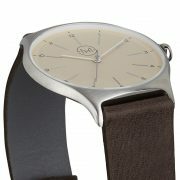 I never felt more slim than with this watch :) But seriously: The piece is really well done and indeed super slim. 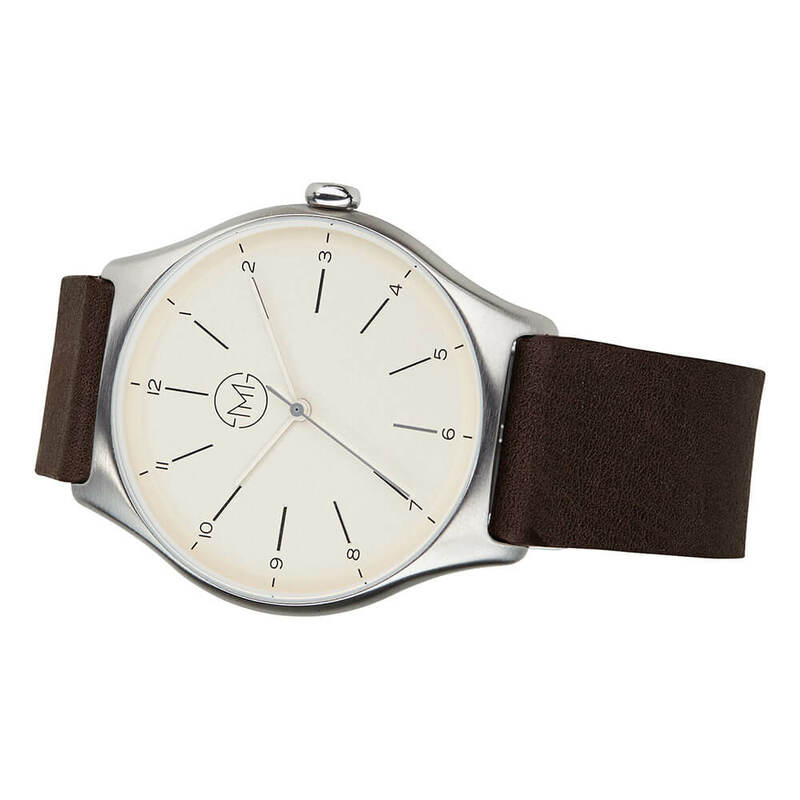 As they write: You don't feel it on your wrist at all.